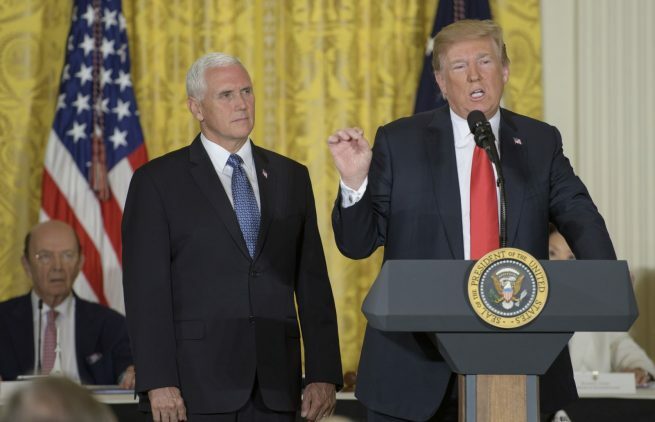 During a meeting of the National Space Council at the White House on June 18, 2018, President Donald Trump announced he was ordering the creation of a sixth branch of the U.S. military – to focus on space. Most of the military’s space activities are currently the responsibility of the Air Force Space Command, which was activated on Sept. 1, 1982, with headquarters at Peterson Air Force Base in Colorado. Creating a new military branch would require approval from Congress, which has been divided on the idea. While a proposal to carve a “Space Corps” out of the Air Force failed to make it into the Fiscal 2018 National Defense Authorization Act, Congress did require the Pentagon to perform a feasibility study of the idea. That study is expected to be delivered to Congress in August 2018. On Tuesday night, June 19, Air Force leadership, including Air Force Secretary Heather Wilson, and Chief of Staff General David Goldfein, sent out a message to all airmen regarding the presidential order. Statements from both the Air Force and the Department of Defense indicate that creating the new force will take time. According to a report by the New York Post, Monday’s announcement caught the Pentagon off guard, with a report in The Wall Street Journal stating that the announcement is the culmination of U.S. military commanders’ opposition to the move and Trump’s frustration at the lack of progress that appeared to be taking place. 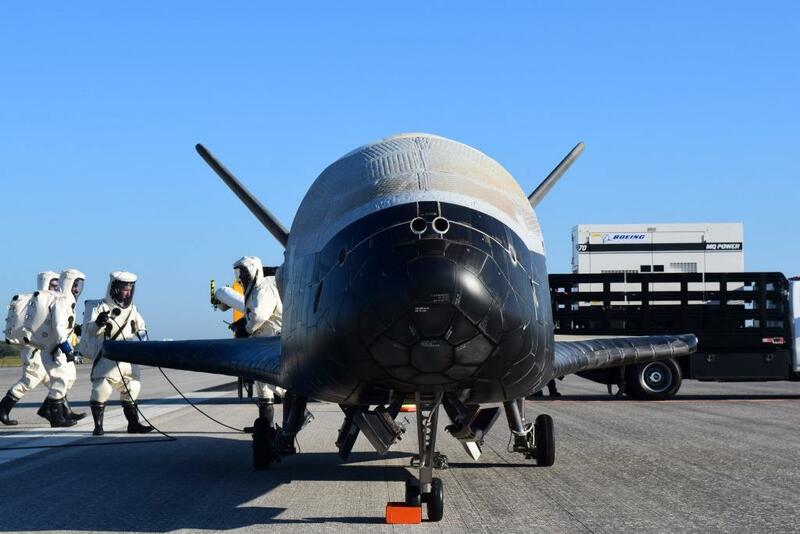 Many officials and experts have subsequently noted that this move is an unnecessary one as the U.S. Air Force has the resources and experience required to accommodate space-related defense initiatives. The Air Force already has the mission to ‘Fly, fight, and win in air, space, and cyberspace’. if the Space Force comes to be, they will have to closely coordinate with the Air Force since one must go through the air to get to space and vice-versa. So why separate them? IMHO – This goes against the vision early pioneers have had for being in space. What then would happen to the NASA mission “Discovery of the universe For all Mankind”? An American Space Force is essential for encouraging peace and vastly improving our weak NEO detection, interception, deflection, and destruction capabilities. If the dinosaurs had developed a global technological civilization and an effective Space Force, they probably would still own all of our Home Planet. If we are smarter and wiser than the dinosaurs, we need a Space Force. Several other nations will most likely develop their own space forces. Cooperation between space forces to efficiently defend all nations from both incoming NEOs and long-range terrorist missile attacks seems likely. Fast Launch On Need astronaut Cislunar Space rescue capabilities should also be an essential part of our Space Force’s core responsibilities. Everyone is headed to the Moon. President Donald Trump and Congress might also want to make some Lunar hotel or resource mining ‘nation to nation’ deals with North Korea and various other nations. All of our diverse Lunar endeavors could be useful in encouraging and building peace and large and profitable space businesses. Yet these critical Lunar efforts need an American Space Force, or cooperating international space forces, with observation, inspection, and policing capabilities to help everyone avoid unwanted behavior or disputes through the simple reality of the Space Force, or joint space forces, being available and fully capable of taking any needed and justifiable actions. NASA’s budget is about 19 billion dollars. The combined military and NRO’s space budget is about 35 billion dollars. Space is, and has long been, militarized. Some “new” items could be the lack of being detected beyond the atmosphere of the February 15, 2013 Chelyabinsk meteor that exploded with the energy of over 400 kilotons of TNT and injured about 1,500 Russians. A second new item is the rising political expectation that America should have an effective system in place to find any potential incoming dangerous NEOs. The early detection of a dangerous 20 meters in diameter incoming Chelyabinsk type of NEO that could have a kinetic energy level 26 times more than the Little Boy atomic bomb dropped on Hiroshima also indicates a need for the American Space Force to have the capacity to deflect or destroy it. “The top two priorities out of the list given were to watch Earth’s climate and to keep an eye on asteroids that could theoretically slam into the planet. The Hayabusa 2 spacecraft uses efficient 2,740+ Isp electric propulsion engines and is currently getting close to the near-Earth asteroid Ryugu where it is expected to land and gather samples this September. In the 2020s, 2030s, and 2040s our large launchers and their upper stages with super efficient 9,000+ Isp electric propulsion systems and nuclear thermal rocket systems with high 900+ Isp capabilities should enable us to efficiently intercept and deflect or destroy incoming NEOs, put humans, robots, and cargo everywhere in Cislunar Space, and help us to build the international Moon Village and mine Lunar, asteroid, and Martian resources. The real environmental, economic, and political threats of NEOs, the opportunities of humans and robots working on the Moon, the existence of our many valuable dual use commercial and military satellites, and other specialized national assets spread across Cislunar Space mean we need to develop an efficient and highly effective Space Force. You start destroying satellites and it will soon create enough space junk to make near earth orbit a no go zone of millions of bullets coming back thousands of times to target you. Any astronauts won’t last long. It would be like having to walk around randomly for a few months on a football field with a few land mines under it. Sooner or later, boom. I am totally surprised that not one of your commentators or the article itself mentions the fact that the United States has long standing international agreements on placing weapons in space, including United Nations treaties also. If you’re going to call this a “Space Force”, then I expect that you will be placing weapons of various types in space.Maybe you should address the treaties first.Then you might want to really think about having a new round of a space arms race such as we had in the Cold War. Is that what we want? PS..that includes nuclear weapons in space also. If we are honest about history, our creation of a national Space Force was implicit in President George W. Bush’s cancelling the Anti-Ballistic Missile Treaty, that was in place from 1972 to 2002, and in Congress providing ongoing funding for reusable prompt global strike launch systems, space weapon options, and an updated version of the Strategic Defense Initiative or ‘Star Wars’. As a result of the Anti-Ballistic Missile Treaty cancellation, new technology, the ongoing extensive militarization of space, and our political slide into Cold War II, one should fully expect the international development of secretive nuclear weapon programs, ICBM technology proliferation, various reusable prompt global strike space bombers, and space weapons. Small, medium and large launchers can make excellent use of various future reusable space tugs with high 2,800 to 14,000+ Isp solar electric propulsion systems to efficiently get payloads from LEO to a low polar Lunar orbit. The use of Cislunar Space will accelerate with the mining of Lunar resources and the building of large solar power satellites capable of providing the Earth with clean and green electric power. A Cislunar mission capable American Space Force that can work with the space forces of many other nations is needed. President Donald Trump is correct about developing an American Space Force. The American Space Force and the space forces of other nations need to be fully capable of detecting as early as possible and deflecting or destroying an incoming NEO. “Recent astronomical events—such as the Shoemaker-Levy 9 impacts on Jupiter and the 2013 Chelyabinsk meteor along with the growing number of objects on the Sentry Risk Table—have drawn renewed attention to such threats. NASA warns that the Earth is unprepared for such an event”. The national and international awareness of our diverse and real space security problems is growing and the many obvious space risks to our modern world are not going away. We need a serious Space Force with the capacity to police Cislunar Space as well as “lead missions to other planets, including Mars” and, eventually, far beyond Neptune. An American Space Force can assure that our continued large and growing business and security investments in space are covered by effective policing, rescue, investigative, and defensive capabilities. The lives of our world’s 7.62 billion people and our continued economic growth and political stability can also justify an American Space Force that is capable of detecting and deflecting or destroying an incoming NEO.